Finding the Best 1 Year CD Rates can be a challenge if you’re looking for a no-penalty certificate of deposit. The fact that 1 year CD rates can provide a good return on your investment in a short amount of time is negated if it becomes necessary to withdraw early and penalties are incurred. Certificate of deposits make an attractive savings vehicle because you can pretty much predict your earnings. Your interest rate is locked in for the term but most lack liquidity. In the event you need to withdraw money early, you’ll pay fees plus the earlier you withdraw money, the less interest you’ll earn. There still a big benefit to opening a 1 year certificate of deposit. High risk investments can offer better returns but 1 year CDs offer a much less risky alternative. Your money is safe from market risk plus you also have the reassurance of FDIC-insured protection. 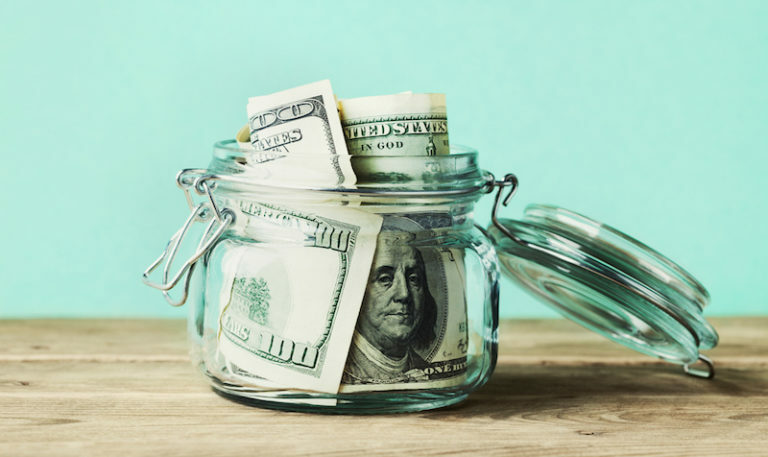 Earnings are higher because CD interest rates are often higher than what a savings account offers; unless you find a high-interest savings, like CIT’s Savings Builder Account that pays 2.45% APY. The option of rolling over the CD to another CD for the same term or higher when the CD reaches maturity. A CD early withdrawal penalty could cost you a good chunk of cash that will impact your earnings. If you want liquidity open a No-Penalty CD where there is no fee for early withdrawal. Here are several online banks that offer the best 1 year cd rates plus an exceptional high-yield savings account. With a CIT Bank No-Penalty CD, you get the security of an 11-month CD plus know you can withdraw the total balance and interest earned without penalty. The No-Penalty CD kicks into full effect 7 days after your deposit is made. You may withdraw the total balance and interest earned, without penalty, beginning seven days after funds have been received for your CD. No account opening or maintenance fees. Daily compounding interest to maximize your earning potential. With a CIT Bank Savings Builder Account, you get the security of a high-interest earning account plus know you can withdraw the total balance and interest earned without penalty – at any time. There are no penalties for withdrawing your money. You may withdraw your money at any time without penalty or impact to your interest earnings. With a Marcus by Goldman Sachs 13-Month, No-Penalty CD, you get the security of an 13-month CD plus know you can withdraw the total balance and interest earned without penalty seven days after the account is funded. Withdrawals permitted starting seven days after the funding date. With a PurePoint Financial 11-Month – No-Penalty CD, you can expect 24/7 access to your account from your computer, tablet or mobile devices, plus know you can withdraw the total balance and interest earned without penalty. Penalty-free withdrawal of the total balance any time starting the 7th day after funding your account. With a Ally Bank’s 11-Month – No-Penalty CD, you can expect no hidden fees and no maintenance fees. When you fund your CD within 10 days of your open date, you’ll get Ally Bank’s best rate guarantee for your term and balance. Withdraw your full balance and interest any time after the first 6 days of funding your CD. Grow your money faster with interest compounded daily. A 1 Year CD offers a nice incentive to leave your money alone. It’s long enough to generate good interest but not so long you’re tying up money indefinitely. You have the necessary disciple to grow your money. With CD accounts, you just can’t open your banking app and make a quick, free transfer as you could with a regular savings account. CD accounts allow your money to grow because you lack easy access to it. Online banks generally pay higher interest rates compared to your local bank or big national bank. Higher rates equal more growth in savings. If you open a new CD every year, you would be adding exponentially to growing your savings. Once you open a few certificate of deposits consecutively, the earned interest alone would fund new CDs. Start growing your money today with a 1-Year No-Penalty CD.